Is it a reprieve or the road to perdition? Two historic Chicago churches marked for demolition, St. Boniface in West Town and St. James in Bronzeville, are enjoying a momentary stay of grace, a benediction of the city's Demolition Delay Ordinance, which automatically places a 90-day review on any demolition delay requests involving structures rated "red" or "orange" in the Chicago Historic Resources survey of potential landmark buildings. 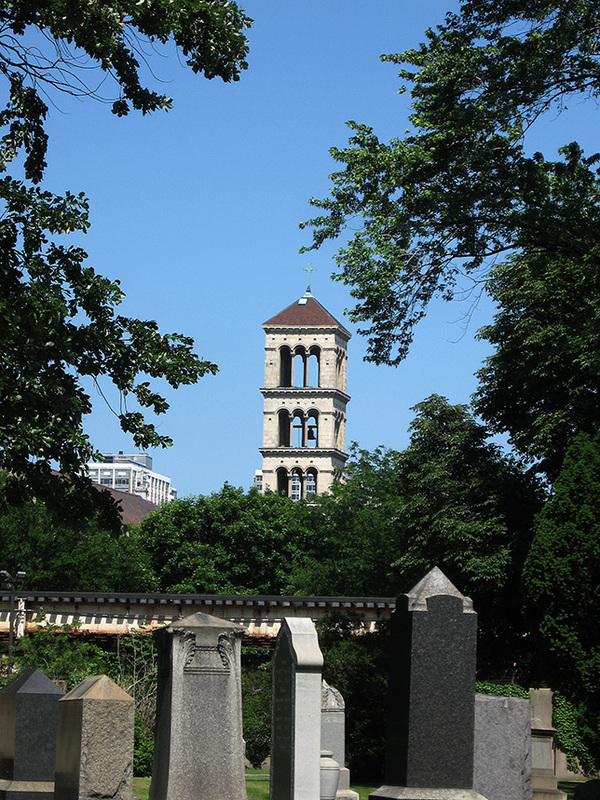 In the case of gothic-styled St. James, built just four years after the great Chicago Fire of 1871 by architect Patrick C. Keeley, the 90 days has already expired. Although the church still has an active congregation, structural problems have kept them from worshipping in the sanctuary for over two years, and the Chicago Archdiocese has decided they can tear down St. James and construct a more modest replacement for about a third of the $12 million cost of restoring the existing building. St. Boniface, whose 130-foot-high bell tower has overlooked Eckhart Park since 1904, has a couple more months left in its 90-day hourglass, but its situation is just as dire. 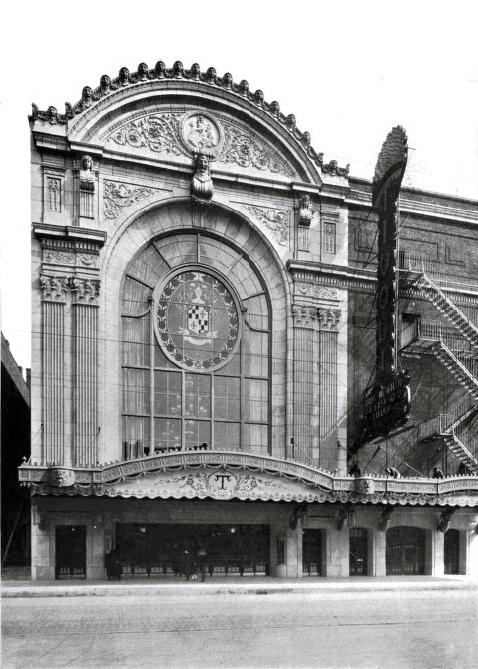 Designing by famed church architect Henry J. Schlacks, it was shuttered in 1989 and left to rot. 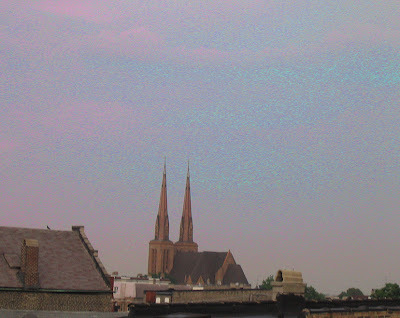 In 2003, it was the subject of an ultimately pointless architectural competition sponsored by the Archidiocese to deflect mounting public criticism of its destruction of historic churches. None of the striking proposals from the likes of Studio/Gang, Brininstool+Lynch, Booth Hansen and A Epstein had any shot of being built. 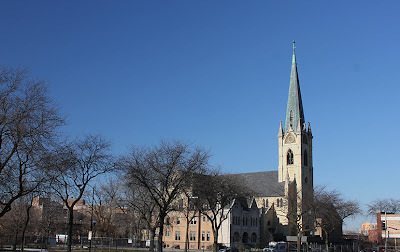 In 2010, Institutional Project Management LLC bought the church with the idea of transforming St. Boniface into Saint Boniface Senior Living, but in December the City of Chicago denied Institutional another extension for securing funding, and went to court to demand the building's demolition. When you get out into the neighborhoods, Chicago is, for the most part, a flat city. The view down one of the countless streets lined with single family homes, two and three flats, is like gazing at the dots on a line drawn to infinity. Except in Beverly and along Ridge, there are no hills or mountains to anchor the horizon. You can argue about the backward-looking quality of the architecture, but old Chicago churches are among the most important visual markers in the urban fabric, even when the buildings of commercial streets, clotting into density and height at major intersections, provide a more broad-based contrast. 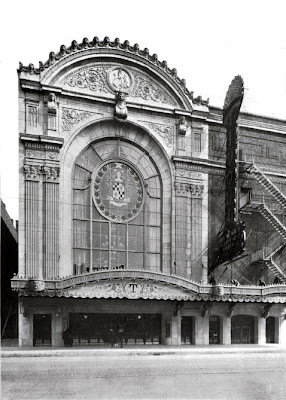 Neighborhood movie palaces, with their soaring lighted marquees and massive neo-classical facades, gave the churches a run for their money in the 1920's as dominant civic markers, but their time proved incredibly short, with few of the structures surviving today. 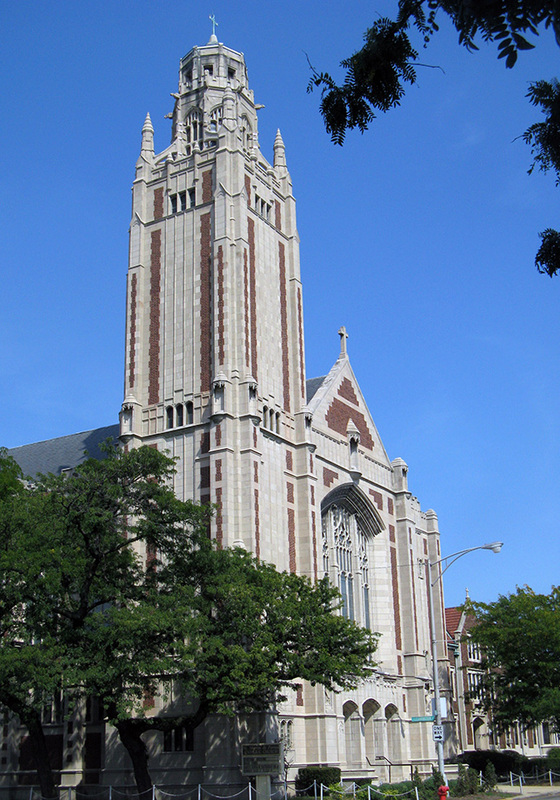 The white flight that hit the city in the 50's and 60's included many of the parishioners of some of the city's grandest churches. 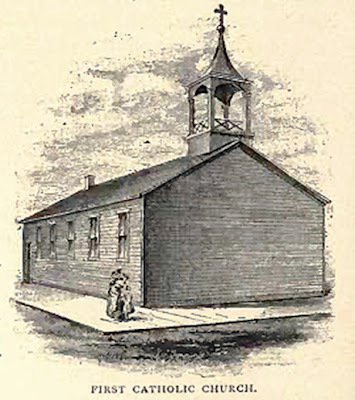 Catholic churches and synagogues became new homes to black congregations, but in the parts of the city panic-peddled from middle-class to poor, the cost of maintaining old structures often grew prohibitive, especially for stand-alone Protestant churches operating independently. Even being a part of a large, city-wide entity cut a church little slack. The Chicago Catholic Archdiocese may be the spiritual anchor of its flock, but as manager of one of the city's larger portfolios of real estate, it is ruthlessly unsentimental. 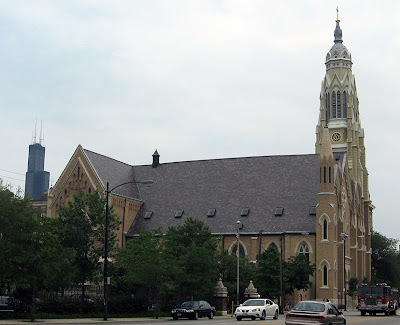 Grand churches built out of the sweat and sacrifice of Chicago's great immigrant parishes, the love of God personified in beauty and majesty, become nothing more than a real estate problem the day after the congregation is moved out. 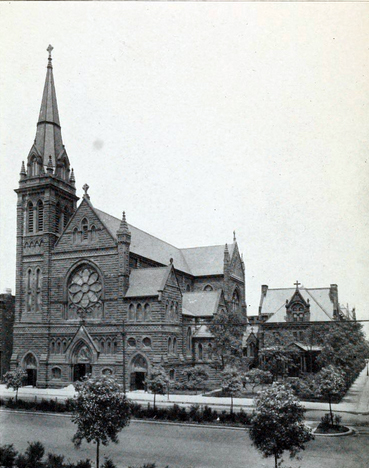 Over the decades, grand churches such as the Catholic St. Jarlath's, St. Leo's and St. Charles Borromeo, along with Protestant houses of worship like Burnham and Root's Church of the Covenant, and synagogues such as Lawndale's Anshe Kenesseth Israel, demolished just last year, are erased from the cityscape. A particularly brutal end was the fate of St. John of God, a grand church built by Polish immigrants and designed by Henry J. Schlacks in 1920. 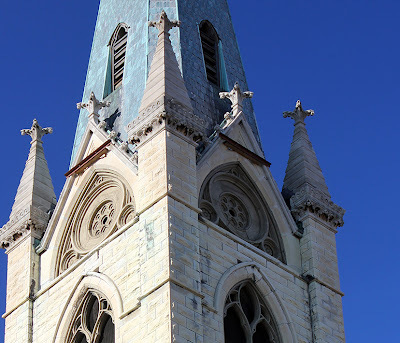 Closed since 1992, the church was finally demolished last year, but not before the final indignity of having the stone flayed off of its elegant facades. Cities change and evolve. Buildings have their own mortality. Even if there had been no Chicago Fire, none of Chicago's original, often simply elegant church buildings would survive today, as they were all built around the city's original courthouse square, where skyscrapers now stand circling today's City Hall. It must be so. 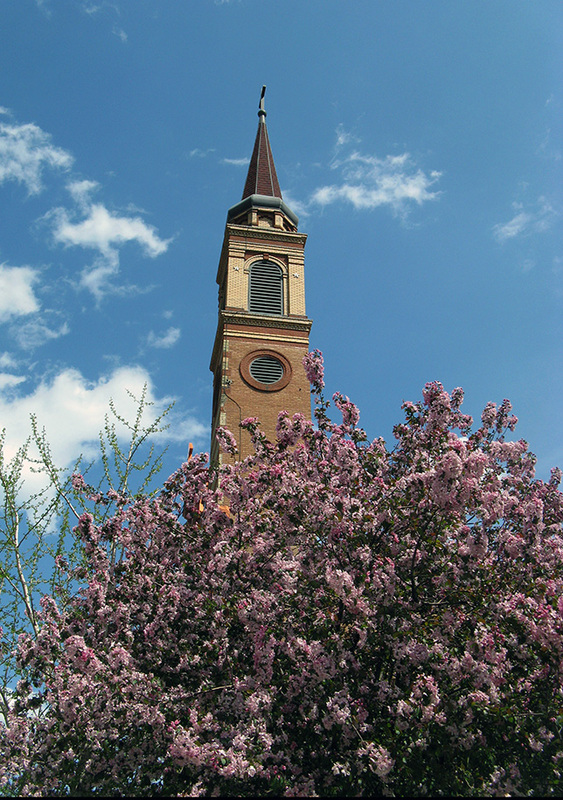 But as we've written before, neighborhoods often make dramatic comebacks, and the Archidiocese has a notoriously spotty record of predicting future potential. As recently as 1983, Old Saint Patrick's was down to four registered members. Twenty years later it was up to 3,500 households. 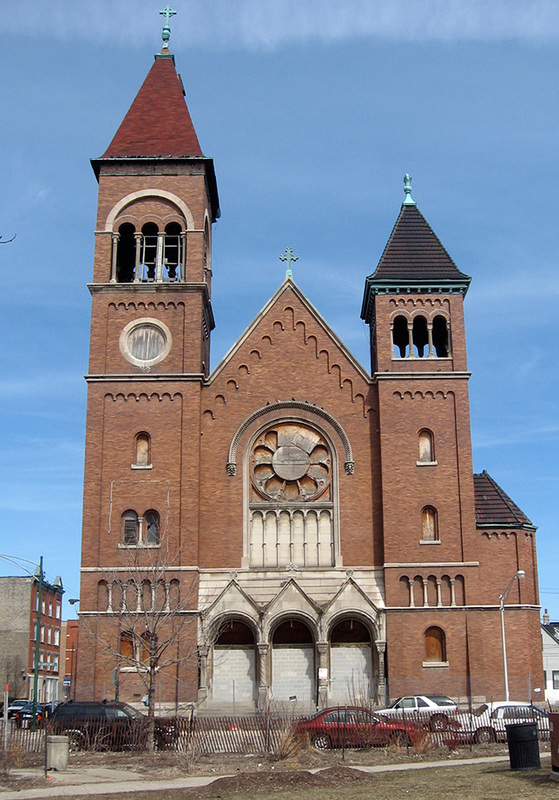 Holy Family's status as Chicago's second oldest Roman Catholic church (it dates from 1859) didn't stop the Archdiocese from closing it in 1984, and announcing its demolition in 1987. Thankfully, public outrage - and organizing - kept that from happening. Today, Holy Family's website heralds the church as the ongoing “miracle on Roosevelt Road”, and its soaring bell tower is the skyline landmark for its reviving neighborhood. Not everything can be saved. No one suggests that it should. Still, as the generations pass, ethnic orientations change and functionalities evolve, the historic texture of the buildings are what carry forward the character of a neighborhood into time. More than any lightly-visited grave, it is the buildings that let us keep the cherished past in our everyday lives. There are two basic types of endangered landmarks. The first is "threatened by prosperity", by the prospect of building something a lot more profitable. 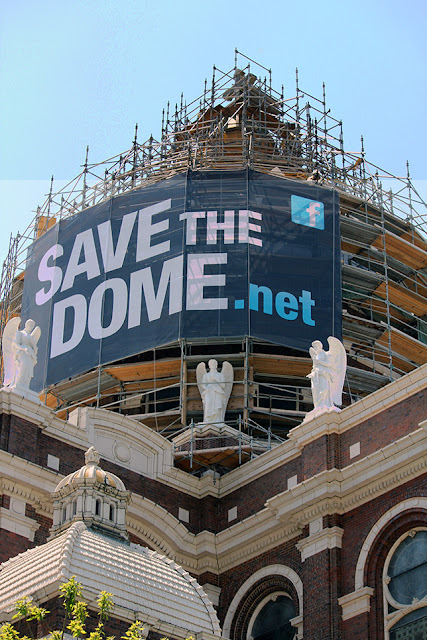 It's always a difficult battle, but landmarking can save buildings in this category. The second is "threatened by neglect", buildings that, in the present moment, seem of no real use to anybody, undeserving of investment. Landmarking alone can't save a building when it's left to rot. In fact, leaving it to rot is often a strategy of developers - a building is left to decay until the developer, shedding crocodile tears, goes to the Landmark Commission and says, "Sure it probably should be a landmark. Isn't a shame that it's in such bad shape we've got no choice but to put it out of its misery?" It's a strategy not limited to the private sector. The Daley administration followed it to cynical perfection in promising to save old Michael Reese Hospital, and then leaving it so unprotected that it could proclaim, just a couple years later, that the building was now so deteriorated that it had no choice but to go back on its promise and smash the structure into dust. 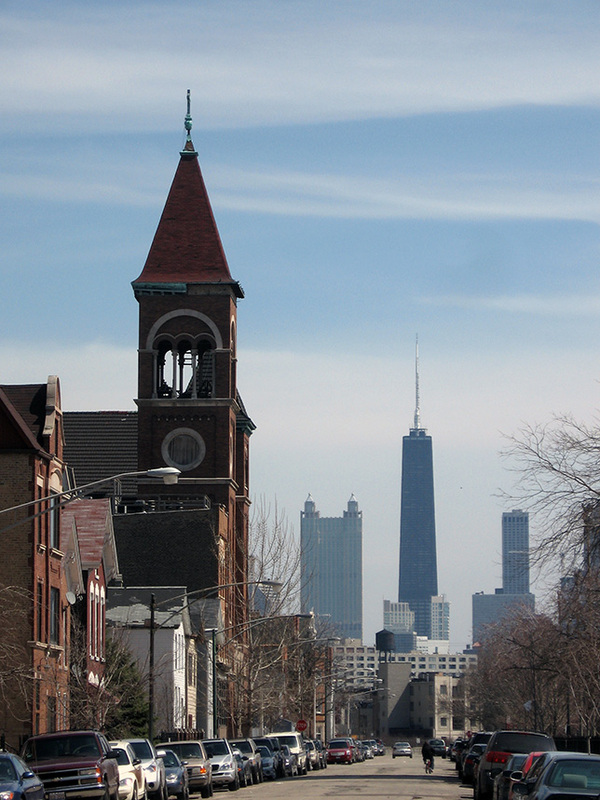 Yet, as we continue to see in Chicago, neighborhoods do come back. When they do on a tabula rasa crazy-quilt of negligently vacant lots, it is an unnecessarily diminished revival, disconnected from the sense of place that is the foundation of any great city's character. 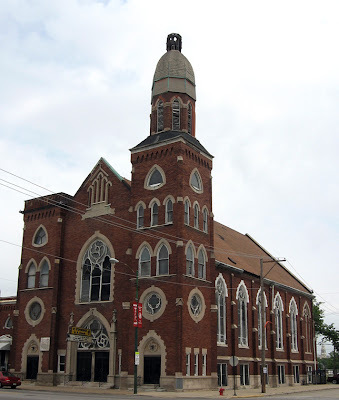 We need to develop an institutional infrastructure to land bank endangered and orphaned city neighborhood landmarks, to be able to pay forward Chicago's historic cultural legacy into the more prosperous future. 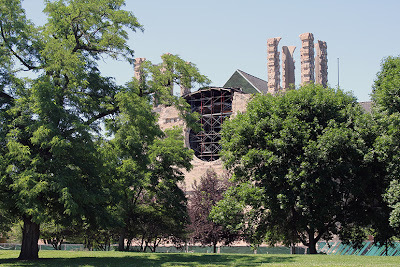 [Update January 17, 2013] The St. Boniface Info website reports that The Chicago Department of Housing and Economic Development has verbally agreed to allow Carefree Development to step into the shoes of Institutional Project Management to be the primary developer of the St. Boniface senior housing development. The City has agreed to extend the time needed to provide evidence of financing for the development until the end of 2013.